Draken International, a global leader in advanced adversary air services, was ranked as the 90th fastest growing private company in the US on Inc. Magazine’s 2017 Inc. 500 list. The company achieved stunning 3-year revenue growth of over 4,000% to earn a spot in the top 100 on this prestigious annual ranking. 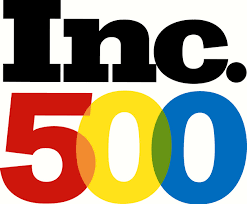 Draken International, a global leader in advanced adversary air services, was ranked as the 90th fastest growing private company in the US on Inc. Magazine’s 2017 Inc. 500 list. The company achieved stunning 3-year revenue growth of over 4,000% to earn a spot in the top 100 on this prestigious annual ranking. The company’s revenue growth made it the 9th fastest growing private company in the Government Services category and the 6th fastest growing private company in Florida. Draken provides a range of contract air services to the Department of Defense and international allies, with services including airborne adversary support, flight training, threat simulation, electronic warfare support, aerial refueling, research, testing, and other missions. With a strategy based upon “build it, and they will come,” Isaacman and his team of military veterans have dedicated the last six years traveling the world in search of safe, credible, and capable aircraft to answer the growing global demand for commercial air services. As a result of these efforts, the company now boasts the largest privately owned fleet of fighter aircraft in the world with over 80 fighter jets including Mirage F-1s, Douglas A-4s, Aero L-159s, and MiG-21s, among other aircraft. Draken International is the world’s largest operator of ex-military aircraft. The company is based out of Lakeland Linder Regional Airport in Lakeland, FL. The organization sets a new standard in airborne adversary support, flight training, threat simulation, electronic warfare support, aerial refueling, research, testing, as well as other missions uniquely suited to their fleet of aircraft. With over 80 tactical fighter aircraft incorporating modern 4th generation capabilities, the company is uniquely positioned to answer the growing global demand for commercial air services. Draken employs world class, military trained fighter pilots including USAF Weapons School Instructors, Fighter Weapons School Graduates, TOP GUN Instructors, Air Liaison Officers, and FAC-A Instructors. For additional information, visit http://www.drakenintl.com.